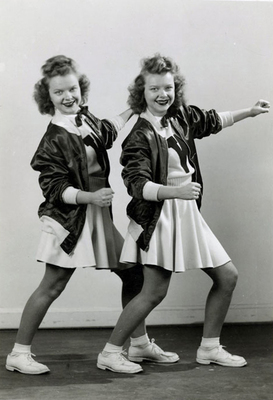 The Cook Twins, Anna and Betty of London, Kentucky were recruited by E.A. Diddle to be cheerleaders at WKU. A special dispensation had to be requested as London was in the Eastern Kentucky University recruitment zone.